In small bowl, mix cream cheese, shallot and Italian seasoning until well blended. Spread in 8-inch circle on serving plate. 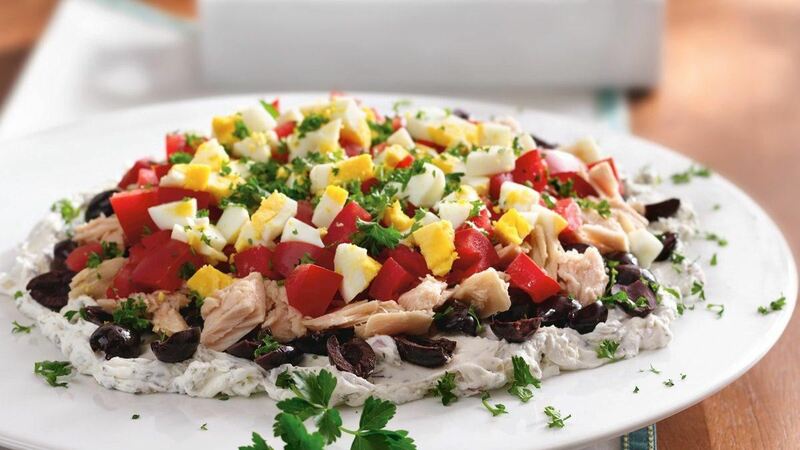 Top with olives, tuna, tomato, egg and parsley. Serve with crackers. Time Saver : Save time by purchasing the hard-cooked egg from your grocery store's deli.